This tutorial is for a Windows application. I do know of a Mac&Windows application which will also get a tutorial at a later date once I have the chance to test it. 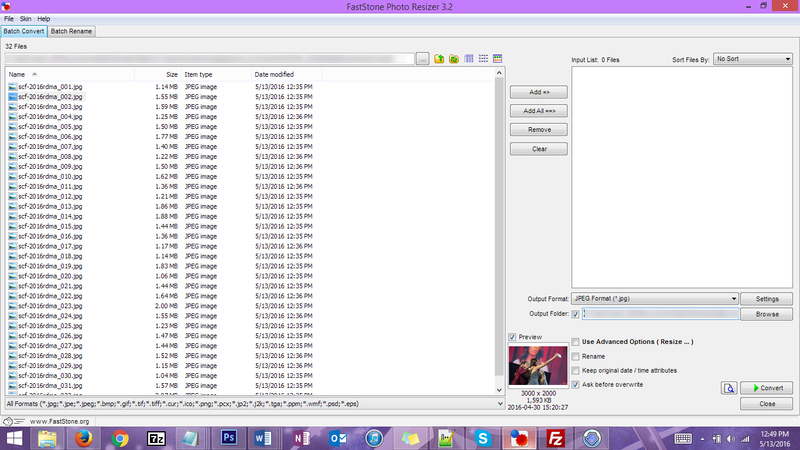 Step One: Download and install FastStone Photo Resizer from here. 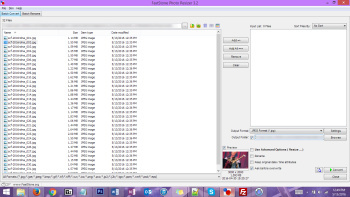 Step Two: In the "Batch Convert" tab, navigate to the folder containing the photos that you would like to optimize like I have in the photo below (click for full size) and click on "Add All". Make sure that the output folder is the same as we will be overwriting the files. Step Three: Make sure "Keep original date / time attributes" is unchecked. The previous screencap already has this done. Step Five: Click on Convert! Let the program do it's thing and watch the filesize go down. If the filesize is under 900KB, you're good to go. If it's not, then keep reading. Step Six: Select the files that are still over your desired size and add these files to the Input List. 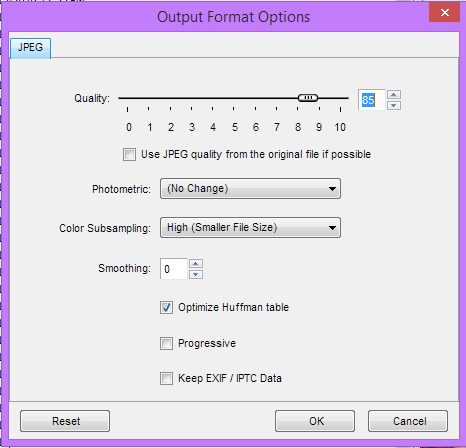 Step Seven: Click on "Settings" again and make sure that you have "Use JPEG quality from the original file if possible" checked since we do not want to lower the quality more than we already have. Step Eight: Check the largest dimension for all of your files. We will be decreasing the smallest of these values. In this case, the largest dimension for all of them is 3000 pixels. Step Nine: Click on the checkbox next to "Use Advanced Options" and then click on the "Advanced Options" button. Step Ten: Make sure the "Resize" box is checked under the "Resize" tab. We will be selecting the option that says "Resize based on one side" - and we will select "Long Side" as the predefined side. Set your desired pixel value and then press "OK"
Step Eleven: Click on Convert once more. If there are still files that are too big after the second conversion, feel free to lower the quality or dimensions of those select files even further. These are images for your site, so you're free to do as you wish. Thanks Camille for writing this tutorial! Wow, thanks so much for taking your time to write this. It was very kind of you! !